Homestay Africa Soweto to Kruger Park, living at home with a local family, is possible, in most parts of where you would like to travel, to experience, the magic of Africa. Sorry, it is possible to enjoy this with the elite, in the suburbs, but not as easily achieved. 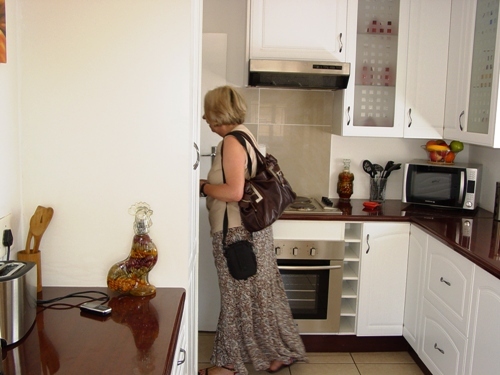 Taste of Africa, has provided shack accommodation in Soweto from late 2004, and Homestay would be no different. and keeping close to the Kruger National Park, we ended up in St Lucia, where we met Marrah. 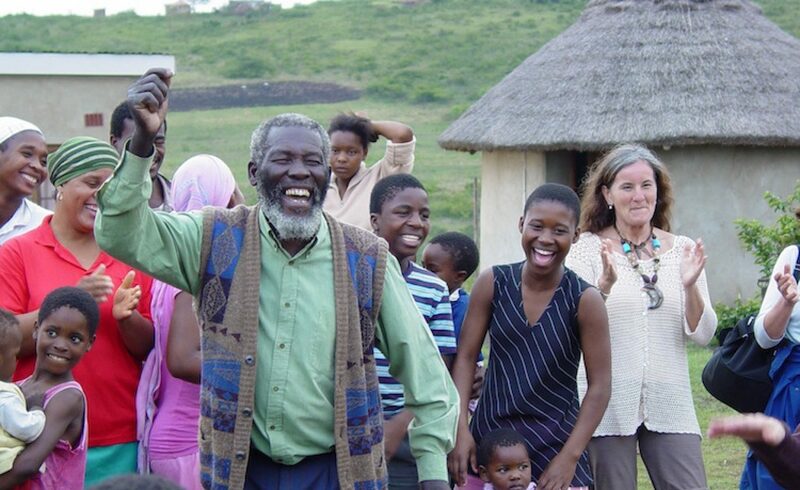 On February 21, 2006, a Swiss couple, spent three nights with us in our shack, having not booked their next holiday stop, I was able to sell the Zulu Village, homestay opportunity with Marrah. They departed on the City to City bus, and Marrah arranged to have them collected in Richards Bay. Today, we celebrate ten years of Homestay Africa Soweto to Kruger Park, without needing to hide behind the high security fences, we have never had any security issue. Your most important part of the visit is the introduction. In African Culture introductions include where you are from, who your parents are, your children and all other relevant aspects. Often the lengthy introduction builds the relationship through common interests or family structures. And in the more rural villages, single foam mattresses. Soweto generally has pretty good facilities, however, they will be shared by you and the family. In the Villages the accommodation is more traditional. You room may be in the house, or one of the outside rooms. The toilet / bathroom facility may be inside or outside. Talk to the hosts about how you access them. 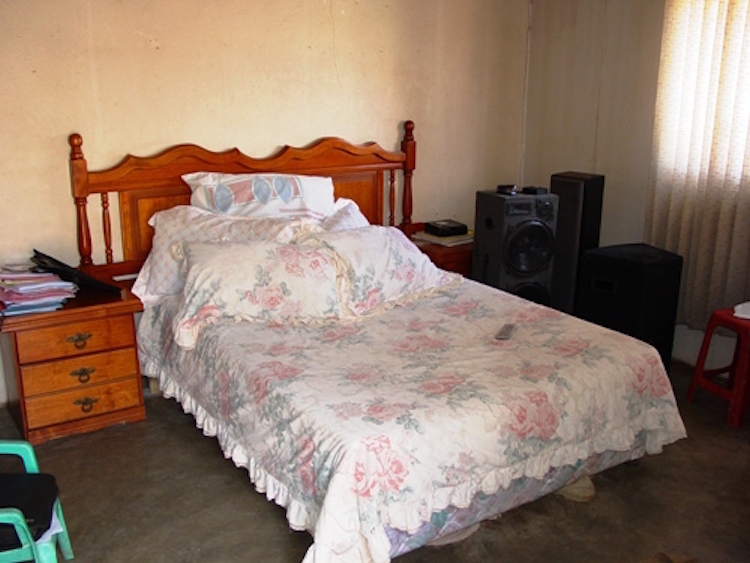 The rooms all have double beds, and the hostess is paid R 200 for the room for the night. If you do not wish to share the double bed, we will provide the room as a single, at an additional R 100. Washing / bathing in Soweto takes place may in the traditional bath, or, in other areas by using the plastic bath / dish. See where the water comes from and whether you can assist in collecting the water. We make every effort to accommodate you on a rotational basis, however, if you wish to ensure that you do get one of the more comfortable homes, please let us know, at and additional R 100 per person, which will go into a community kitty for all the mothers, we will allow you the choice for a ‘better’ room. Where we are hosting groups, the group leader must distribute the group according to their understanding of the group, any special requirements, let us know in advance. Should you be in the position to provide us with the names of those who wish to share, 2 pax and 4 pax, we will allocate hostess in advance, reducing your settling time drastically. 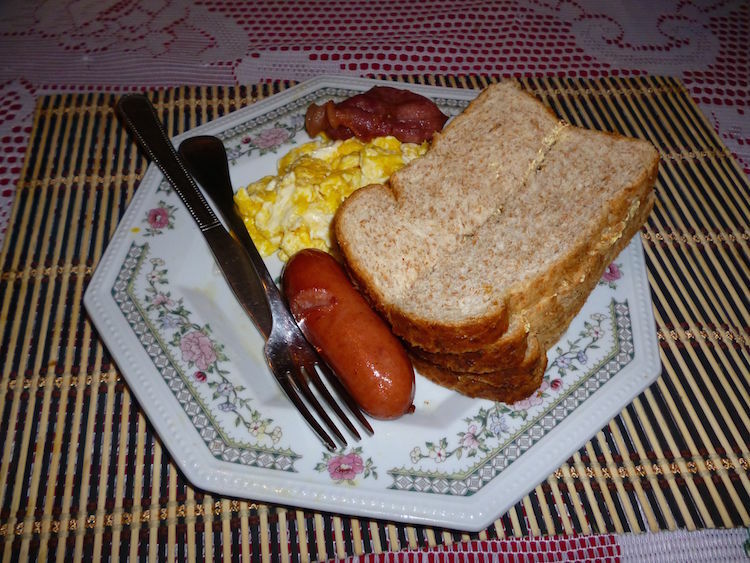 Our arrangement is that the host cooks their normal planned meal and just adds to the pot to cater for you. If you have any diet restrictions please tell the hostess. The family often does not have the same daily clock that you have, so if hungry at night, do not be afraid to talk, and please make sure they know what time you want your breakfast, coffee or bath. For groups we will arrange a meal at a local shebeen, or one of the mothers who can cater, with music and magic. In order to give the visitor the magic vibe, the night includes the provision for the hostesses to join you for the meal. Any refreshments that the hostesses may have access to, is not included. Beer is freely available at community ‘shebeens’, and should the group wish Taste of Africa to source wine for the group, please order in advance. Your link to day 3, if you missed it? As part of the Intercultural Exchange with Big 5 flavour, we start our visit to South Africa in the Zulu Village, adjacent to the Blood River Monument, and Ncome Museum, where the battle of Blood River took place on December 16, 1838. I have very personal views on these interpretations, and have become of the opinion that December 16, should not have been used as the ‘Day of Reconciliation’, for all South Africans, we first need to reconcile, the differing interpretations, the financial and political issues, that still keep the gates to the symbolic bridge closed. Chief Molefe of the Mkonjane Tribal Authority, have been in talks about how we can contribute to finding a solution. Our day starts with a visit to the Ncome Museum, and then we visit the Blood River Monuments. Our Intercultural Exchange with the flavour of the Big 5, reflects on the separations that still exist in our country. The bronzed wagons symbolise the wagon laager used by the boers as shelter in this battle, also, a traditional form of protection during their trekking. Intercultural Exchange with the Big 5 flavour, motivates the group to participate in the traditional dancing. We then have a return visit to the Velaphansi Secondary School, where the students displayed their dancing much to the enjoyment and the appreciation of the scholars, and educators. Lunch is enjoyed at the school, and supper at the Nguni Clan again. By this stage, I am convinced that I failed the group by not succeeding to have most meals with the family, a challenge that I will ensure that I address when we return.